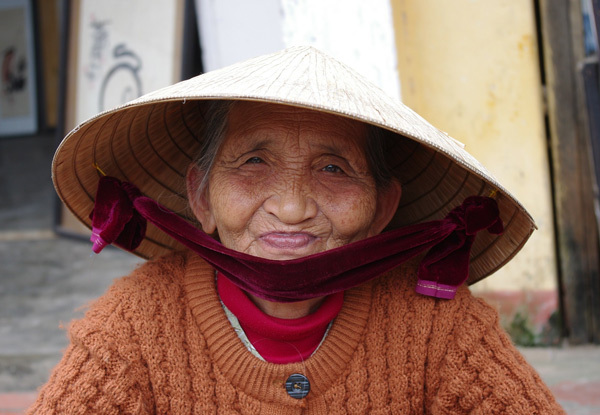 Immerse yourself in the vibrant country of Vietnam. Savour the rural delights and local lifestyles of the Mekong Delt and see the remnants of the Vietnam War at the Cu Chi Tunnels. Experience a full-day guided tour of Hanoi City, including Ho Chi Minh’s, Mausoleum and the 'Hanoi Hilton'. 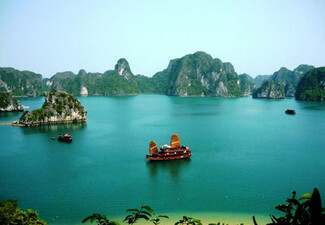 Take an overnight traditional junk cruise through Halong Bay and witness the world’s great natural wonders. 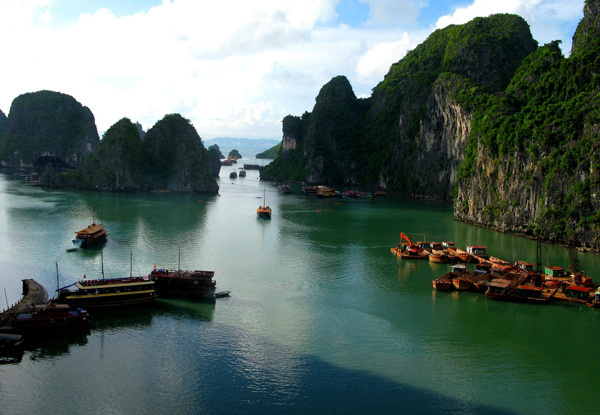 You'll cruise past thousands of limestone islands ﬁlled with caves of all shapes and sizes. Bookings are essential and must be made by 10th March 2019 for travel until 16th November 2019. Grab a Best of Vietnam 12-day tour including return flights, accommodation, Halong Bay Cruise, local guides and more from Nexus Holidays. 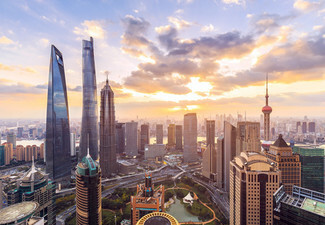 Fly to Hanoi via connecting cities. 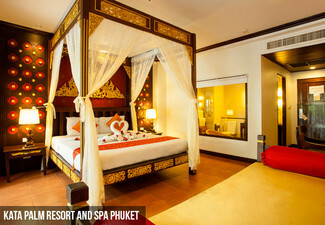 Upon arrival, you will be met and transferred to the hotel. Note: Some flights may depart the day before. Visit the infamous Hoa Lo Prison – known as ‘the Hanoi Hilton‘ during the American War. Visit the Temple of Literature, the ﬁrst university in Vietnam, Then it’s on to West Lake and Tran Quoc Temple, the oldest Buddhist temple in Hano. 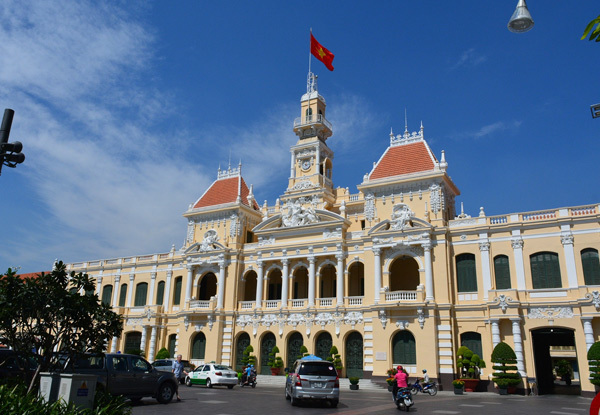 After lunch, visit Ba Dinh Square, where Ho Chi Minh read Viet Nam’s Declaration of Independence on 2 SEP 1945. 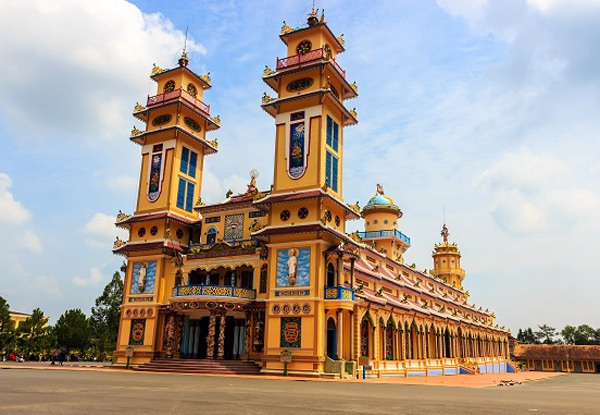 Visit Ho Chi Minh’s Mausoleum (reminiscent of Lenin’s Mausoleum in Moscow), and Ho Chi Minh’s House, a modest residence from which he led the country until his death in 1969. Then, transfer by bus to the ancient ’36 Meandering Streets’ of Hanoi’s Old Quarter. 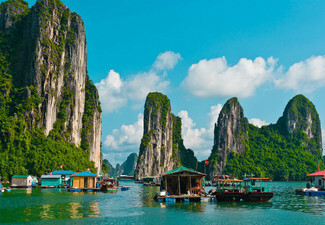 Travel to Halong Bay and take a boat trip to explore one of the world’s great natural wonders, cruising the thousands of limestone islands ﬁlled with caves of all shapes and sizes. A seafood lunch and dinner will be served on board the charming junk. Stay overnight on board. Disembark from the junk at noon and ﬂy to Da Nang. On arrival, you will be picked up and transferred to Hoi An, an ancient town recognised as a World Cultural Heritage site by UNESCO. Check into your hotel. Discover Hoi An by walking tour through the narrow streets of this charming town. Then, visit the highly-regarded Bebe Tailor Shop to discover the story behind Vietnam’s traditional outfits. The remainder of the afternoon is free at leisure. The afternoon is free at your own leisure. 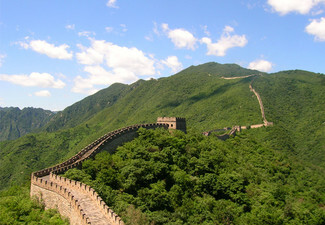 You may also join one of their optional tours. Optional program 2 – Fishing Village & Waterway Eco-tour (at your own expense). Visit the Réhahn Museum, to view the ‘Precious Heritage Collection’, by French Photographer Réhahn. Afterwards, you have free time at leisure, or you may enjoy the following optional activities. Drive to Hue City stopping along the way to take pictures at Lang Co Beach. On arrival, you will take a boat trip to Thien Mu Pagoda -an historicpagoda on the banks of the Perfume River. 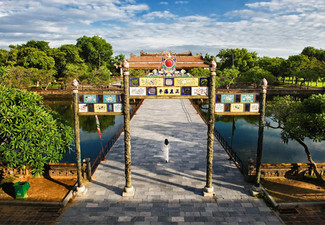 Travel to the centre of Hue city, visit the massive Kinh Thanh Citadel, comprised of the Imperial City, several museums, lakes, and lovely gardens, all laid out in a series of concentric circles. 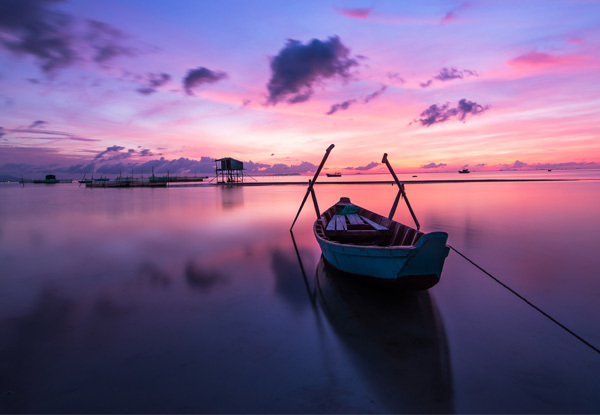 Catch a morning ﬂight to Ho Chi Minh City. On arrival, transfer to visit the imposing Dong Khoi Street (formerly Catinat street) before going to the Notre Dame Cathedral. Later, visit Ben Thanh Market before returning to your hotel. 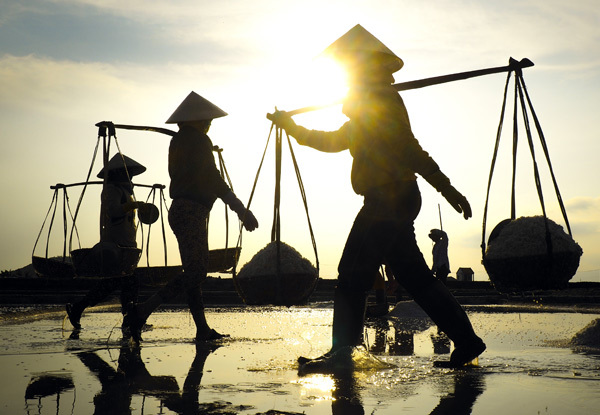 Drive through the Mekong Delta, home to the richest agricultural lands in Vietnam. On arrival at My Tho City, take a boat trip on the Mekong River to ﬁshing villages and Dragon, Unicorn, Turtle and Phoenix Islands. 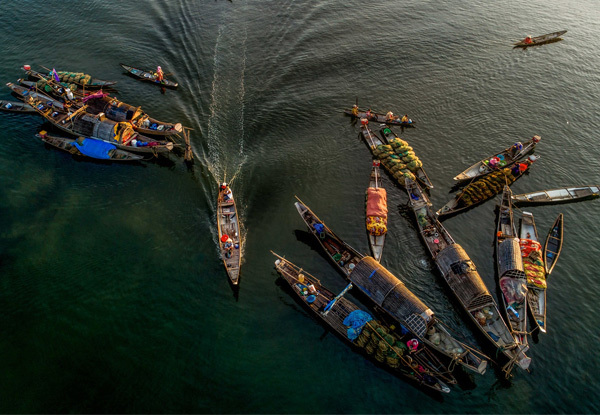 Crossing the Mekong River, you’ll cruise along a small canal to see the daily life of locals in Ben Tre province, visiting Quoi An bee farm and handicraft workshop. Then, take small sampans back to your cruise to ‘Coconut Village’ for a coconut candy workshop and tasting. Visit Phoenix Island for a rice-paper workshop, then return by boat to My Tho and then by road back to Ho Chi Minh City. Enjoy the rest of the day free at leisure. After breakfast, you will be transferred to the airport for your return ﬂight home. Bookings essential and must be made by 10th March 2019. Subject to availability. Valid for travel until 16th November 2019. Bookings must be made within 10 days of purchase to avoid disappointment. International flights included. 2019 Departure Dates: 6th*, 20th** April, 18th May, 15th June, 13th*, 27th July, 10th, 24th August, 7th September, 19th October, 2nd, 16th November. 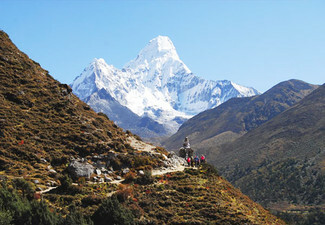 Shoulder Season Surcharge of NZD$250 per person applies to 6th April & 13th July travel dates. ** 2019 Peak Season Surcharge of NZD$450 per person applies to 20th April 2019 travel dates. Must be used in 1 visit. Deal valid for one person on a twin share basis i.e. two vouchers must be purchased at this price. Departing from Wellington is an extra NZD$350 per person. Includes: Return economy class airfares departing Auckland on Vietnam Airlines, China Southern Airlines or similar alternative (subject to availability), domestic flights (local carrier), nine nights hotel accommodation, 1 night on Halong Bay cruise, roundtrip airport and hotel transfers, coach transportation and all transfers, Entrance fees to scenic attractions (unless otherwise indicated), English speaking tour guide, NZD$120pp in prepaid tips & meals as indicated etc. 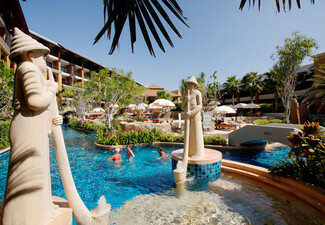 Excludes visas, travel insurance, optional activities & anything not specifically mentioned in the itinerary. Stay Behind/Early Arrival Surcharge: From NZD$275 per person subject to availability & applicable fare difference. Child price is the same as an adult. Visas are the responsibility of the traveller. Travel insurance is recommended. Value of deal is based on current rates, which are subject to change. Refund available from GrabOne within 48 hours of purchase if specific dates are not available.